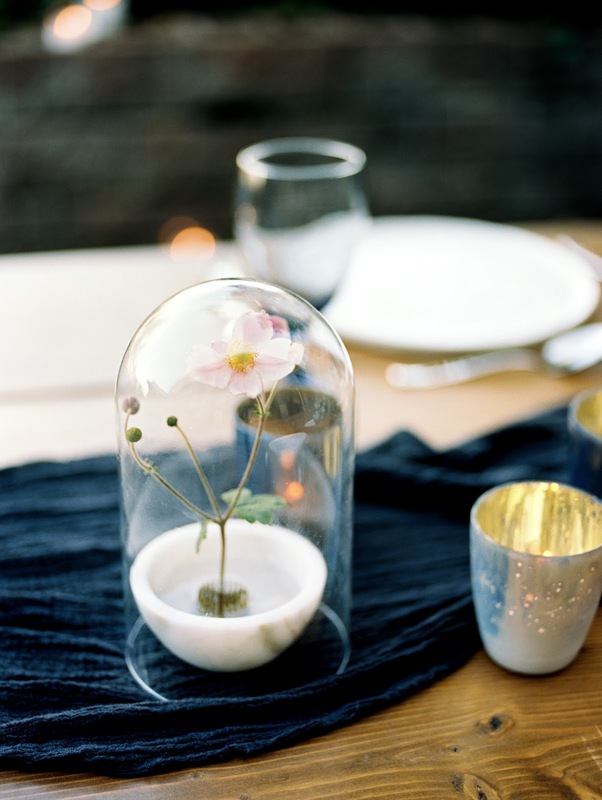 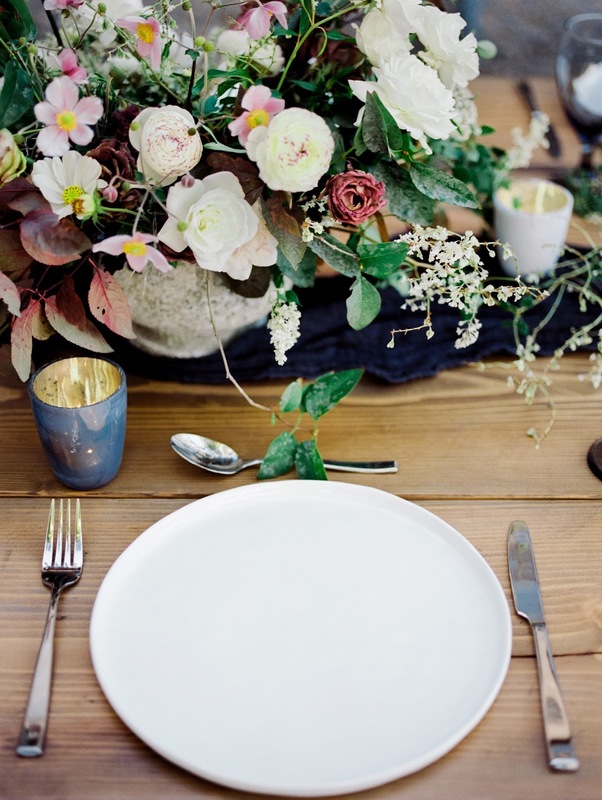 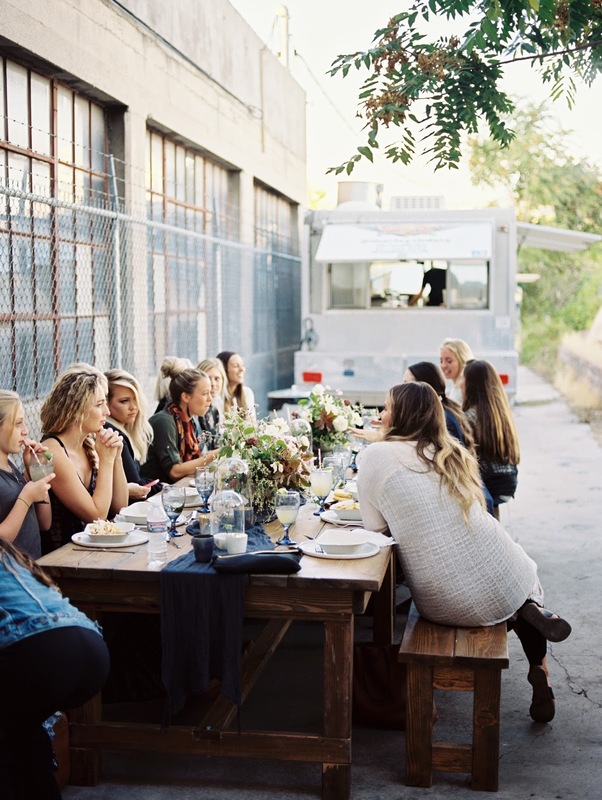 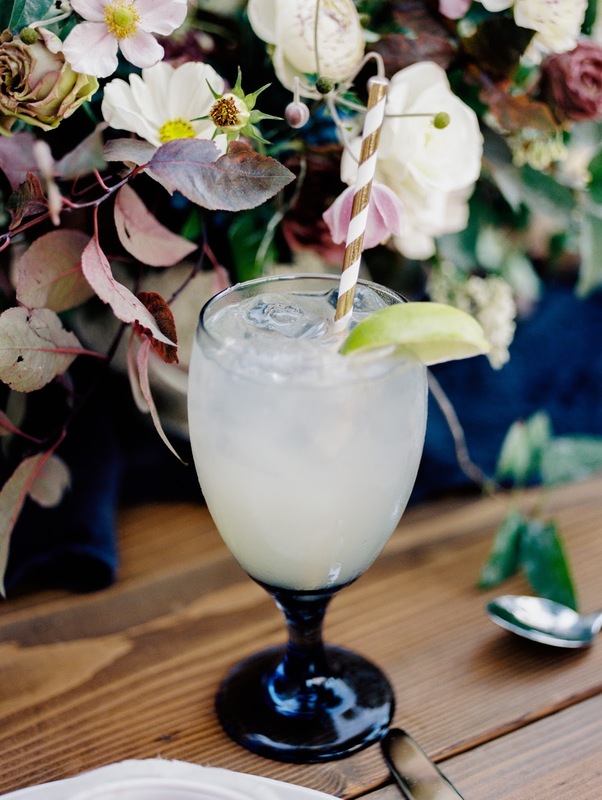 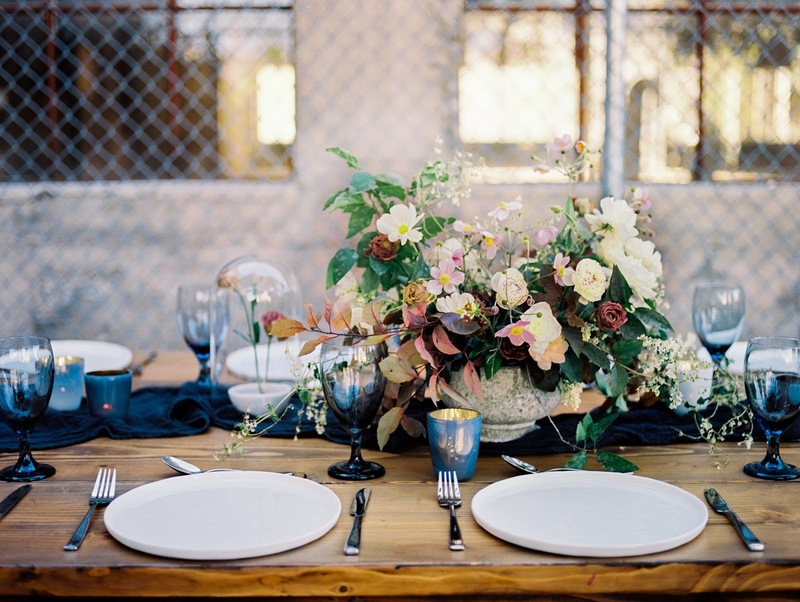 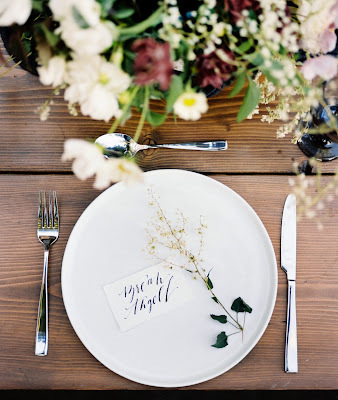 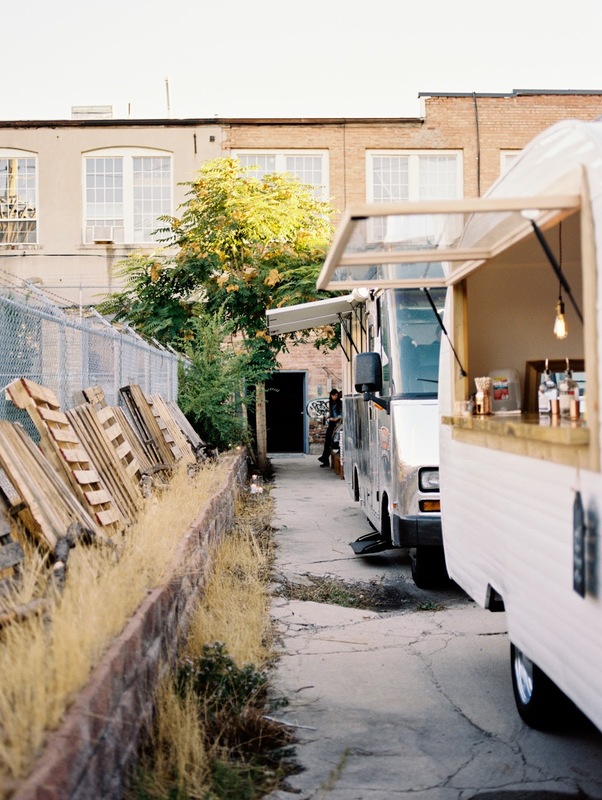 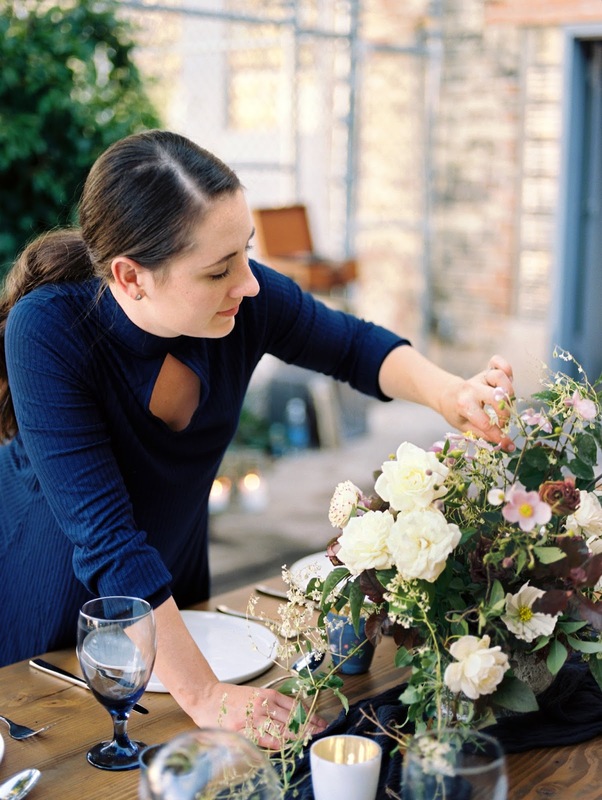 Last fall, I designed and styled The Themed Workshop, hosted by Megan Robinson Photography. 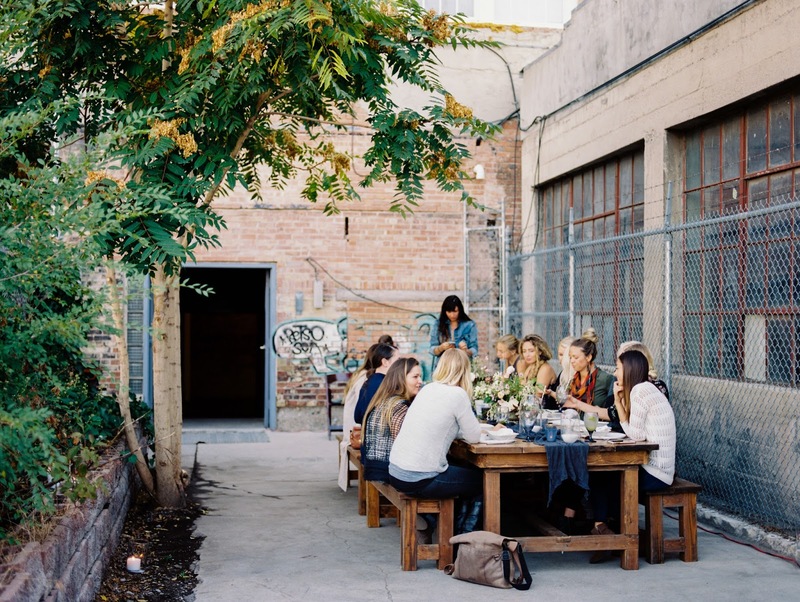 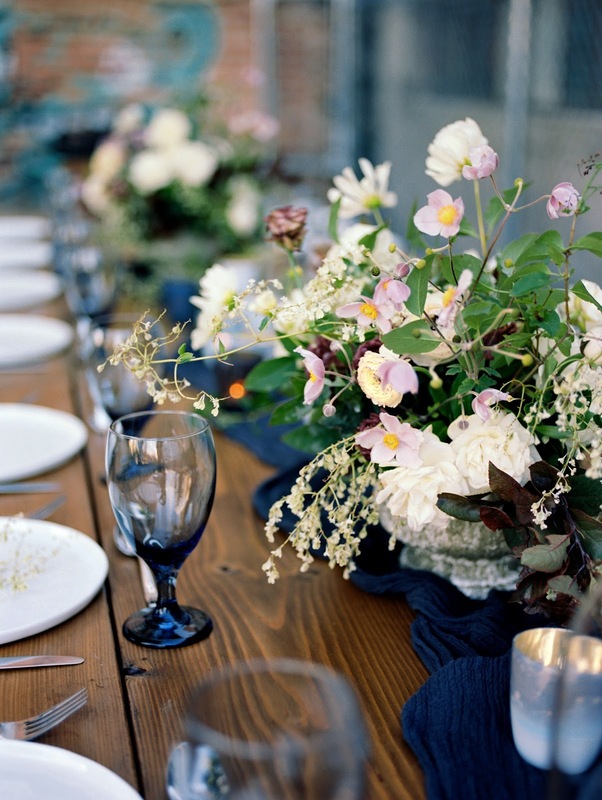 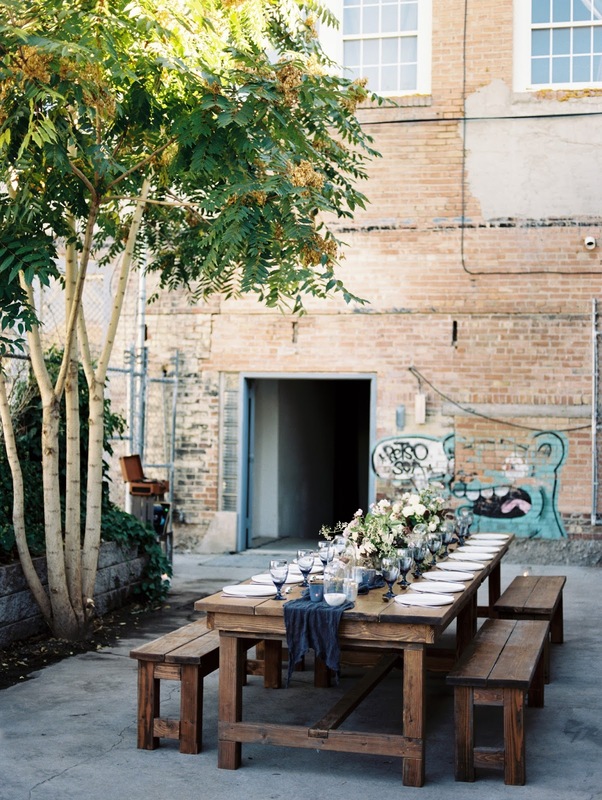 For the welcome dinner, we greeted the attendees with a beautiful dinner set up in an urban alley in Salt Lake. 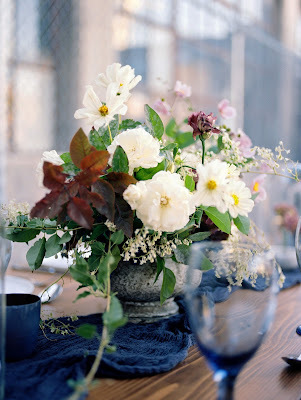 I hand-dyed gauzy runners to spread down the tables along with opalescent votives and flowers in shades of chocolate and plum, arranged in large stone pots and simply in marble bowls under a glass cloche. We brought in two food trucks who pulled into the alley and served our attendees delicious Mexican food and custom cocktails or mocktails.